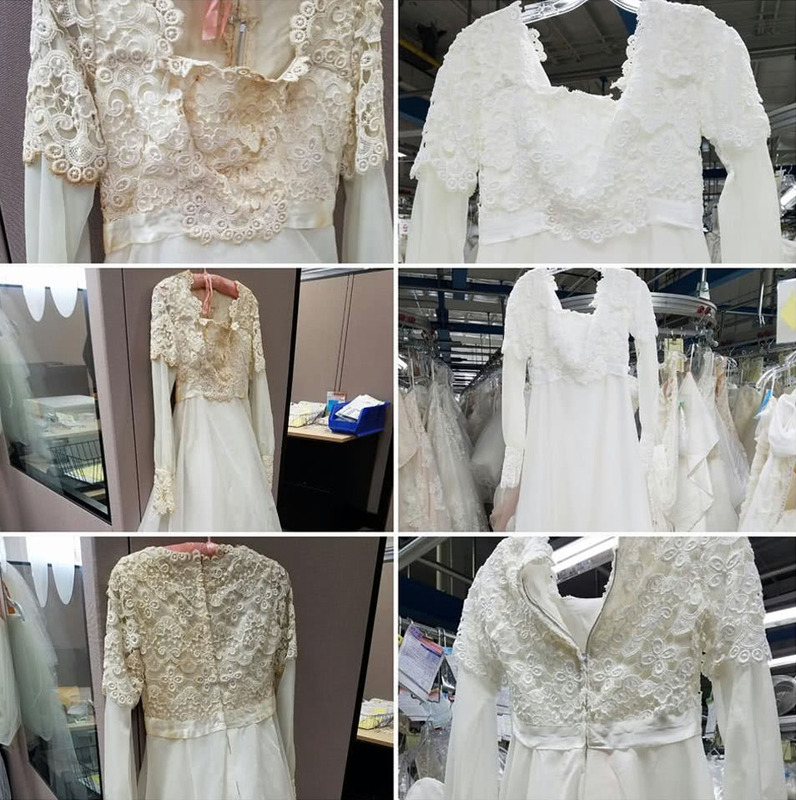 Restoring the Timeless Beauty of Vintage Wedding Gowns Since 1913. While other companies offer a limited lifetime guarantee, we stand by our service by offering our brides a LifeTime+ 100-year guarantee. 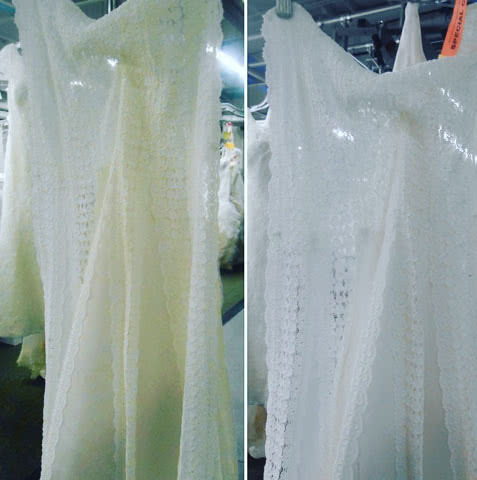 Your order includes 2-way shipping of your dress to our preservation studio where it is beautifully restored and safely back to your home. 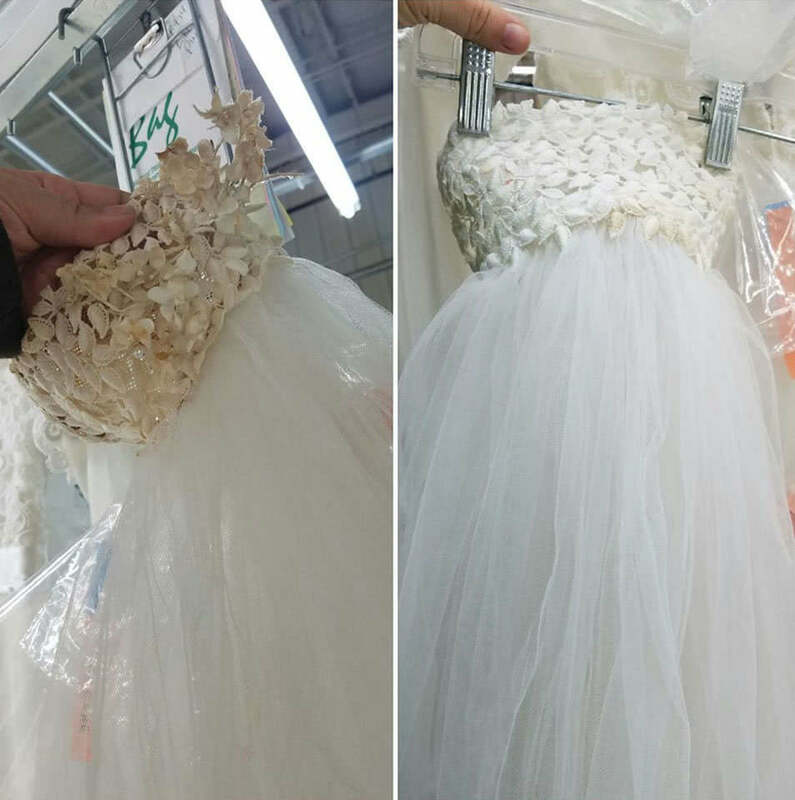 We’ve sourced only the best and beautiful acid free tissue paper and preservation bust to ensure your dress remains perfectly restored in our preservation chest. 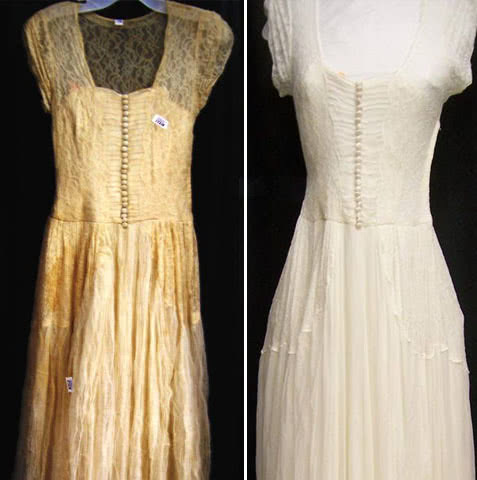 A friend and I both had vintage gowns from the 1950's. 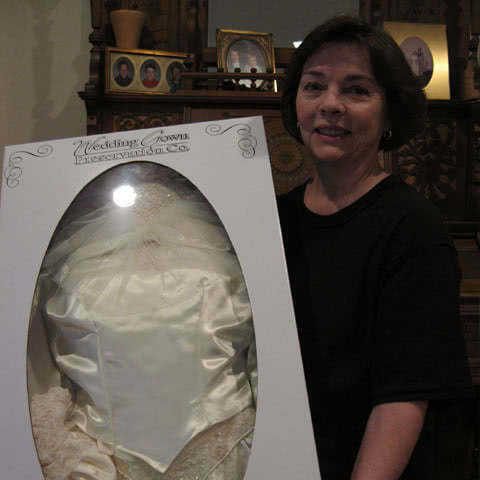 She chose Wedding Gown Preservation Co. and was so pleased that I sent mine as well. I received my gown in 4 weeks, beautifully boxed with a personal letter from the company describing the work that had been done. 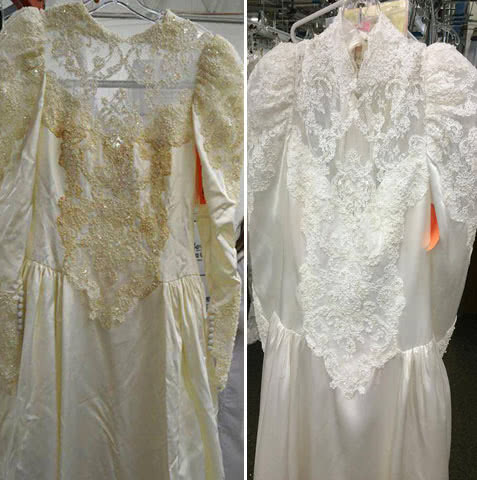 After over 39 years of storage in an attic, then the basement, we sent what was basically an orange gown to you in hopes that you could, by some miracle, bring it back to near its original condition. 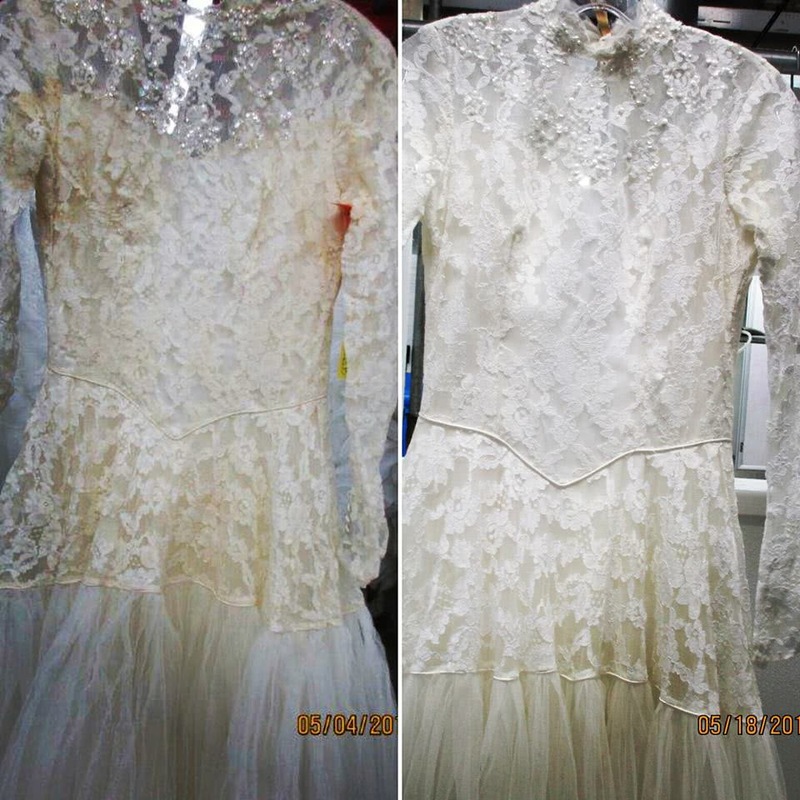 What condition it was returned to us it was so spectacular that it is truly hard to believe it's the same gown. 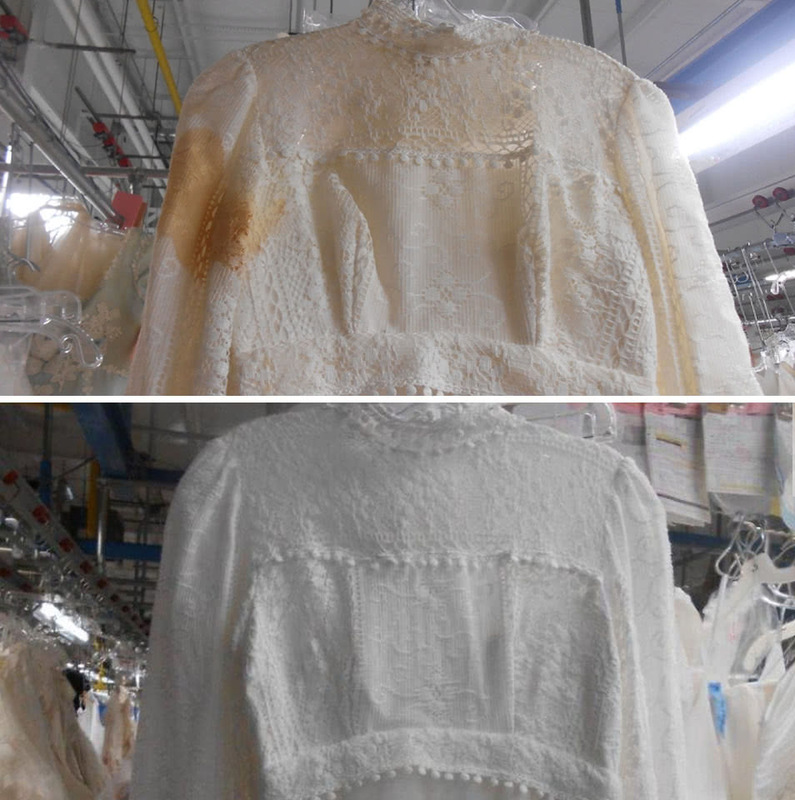 Will my vintage wedding dress be safe during shipping? 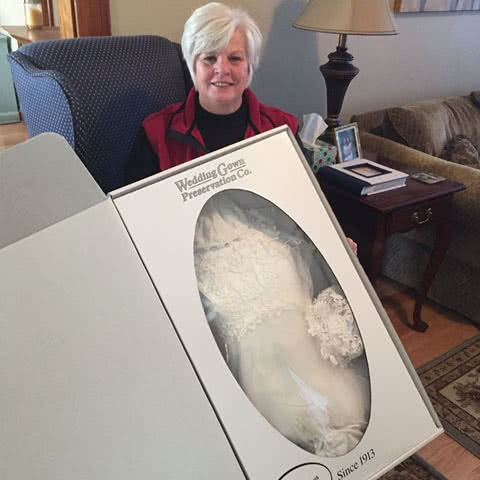 We've taken every step available to make sure your gown is safe and secure as it is shipped to our facility and back to your home. The finished kit requires a signature from a resident of your home and each kit comes with shipping insurance included to keep your mind at ease. 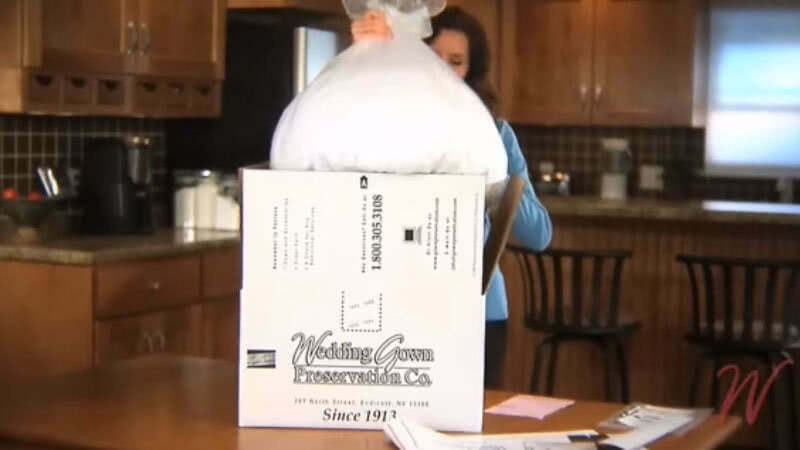 For as long as we've been the #1 online retailer of the Wedding Gown Restoration Kit, we've never had a gown lost in transit. 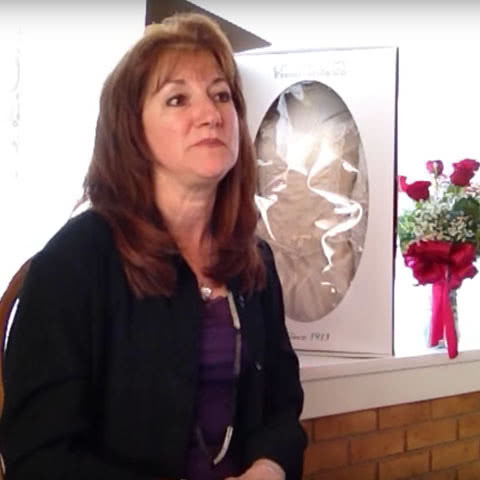 Over 3,000,000 brides can attest to the safety of our time-proven process while saving hundreds of dollars at the same time. Of course! If you purchased your Restoration Kit as a gift or for yourself and you or the recipient end up not using it, you can contact us to let us know and you will receive a 100% refund on your order. There is no need to return the box or its contents, however, the order number will be de-activated from our system making it unavailable to use in the future. It's that easy! When you receive your kit you'll find paperwork inside that will allow you to add any extra amount of insurance in the included paperwork which will be in addition to the included insurance that comes with your order ($500 for our Restoration Kit). Extra insurance is $2.00 for each $100 of extra insurance you'd like to add. 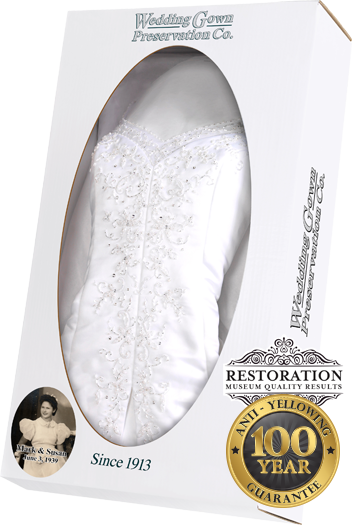 While other companies only offer a lifetime gurantee on their restorations, we go beyond the industry standard to offer our customers a 100 year guarantee against yellowing. 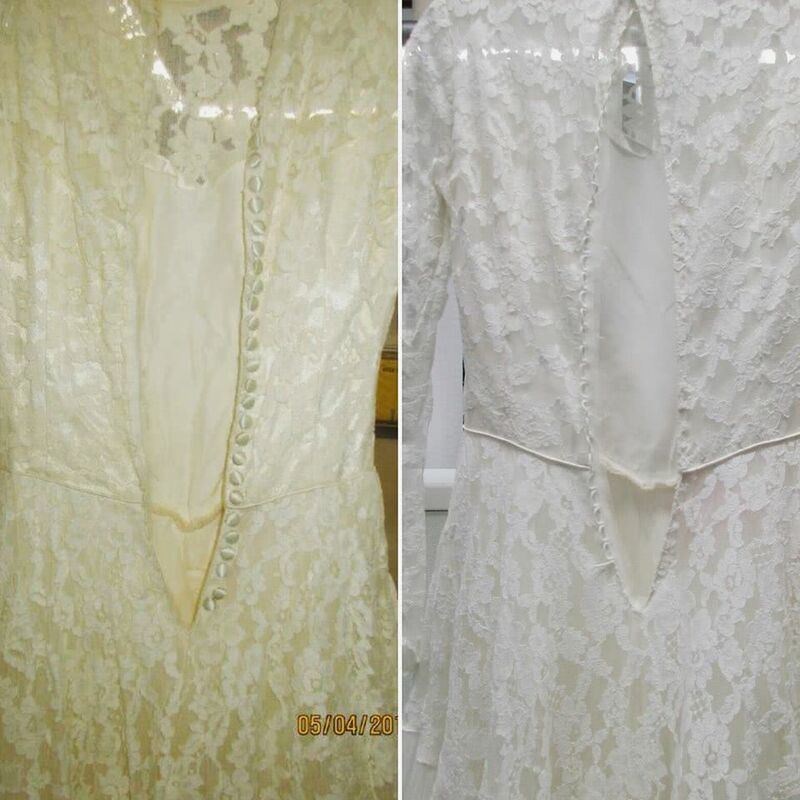 As the oldest wedding gown preservation company in the nation, our service will be there to back up our guarantee. That's our promise to our customers. Great, Show Me the Kit!